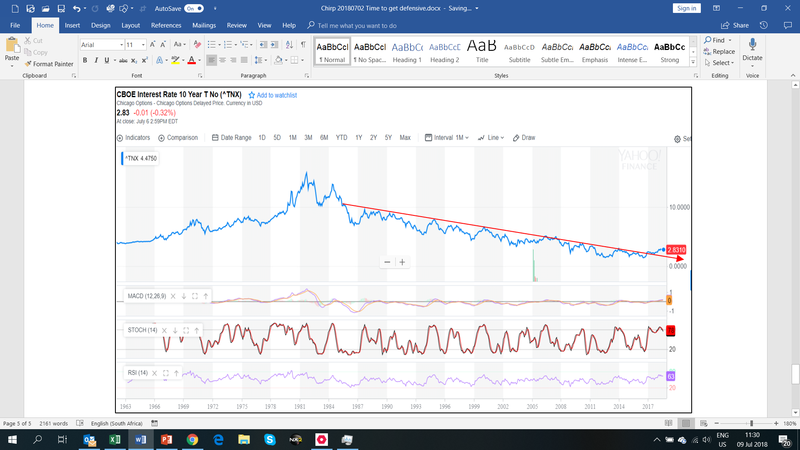 I think it is a time to become defensive with your investment portfolio, since equity markets are likely to experience at least a +30% drop between now and October 2019. i.e. It is better to make a little less in the next 15 months than to lose 30%+ of your portfolio. If gold breaks above $1 400 in the next few months, it also may be prudent to put some money in Gold. We are due for a “bad” crash, but after that, we will enter a boom of note as we reap the future tech benefits promised by Automation, Robotics, AI, Gene Editing, etc. We often use the USA as a proxy for world markets because, what happens in the USA will almost certainly happen rest of the world. The USA accounts for about 25% of global GDP, has massive economic influence and has the most comprehensive homogenous statistics which makes it the easiest to analyse and quote. 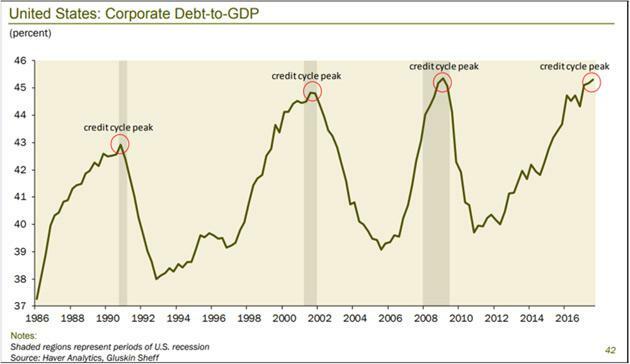 Rising rates will quickly bring a stop to stock buybacks. NB! This needs to be discussed with your financial advisor, as it is merely a suggestion and not advice. However, advisors often remain bullish until it is too late, so I would bear that in mind. 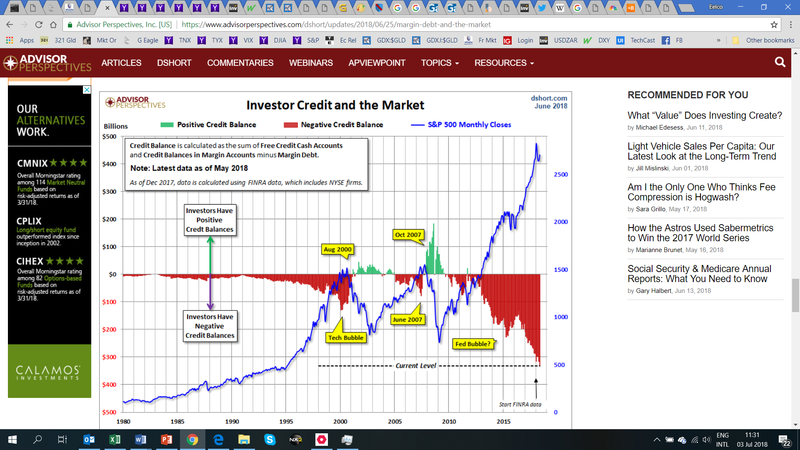 I always like to look at this chart from Advisor Perspectives (below), that is updated monthly and surely does not make me feel warm and fuzzy. 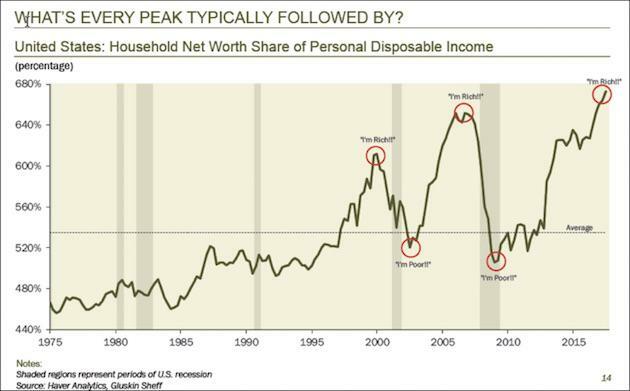 John Mauldin it always reliably objective and he posted these charts that suggest a peak is near. i.e. 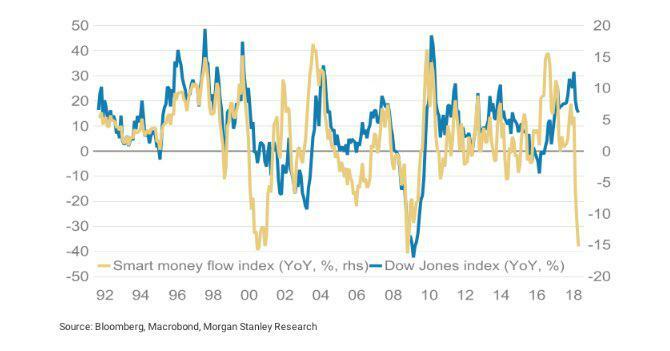 Neither chart suggests that there is a ton of upside in the wings. I am a semi-retired engineer, not a qualified financial advisor. I like to teach people how to think about their investments, rather than to tell them what to do. The above opinions do not constitute financial advice.